You know you are in luck when the name of your hotel is the same as the most popular shopping area in Batam. 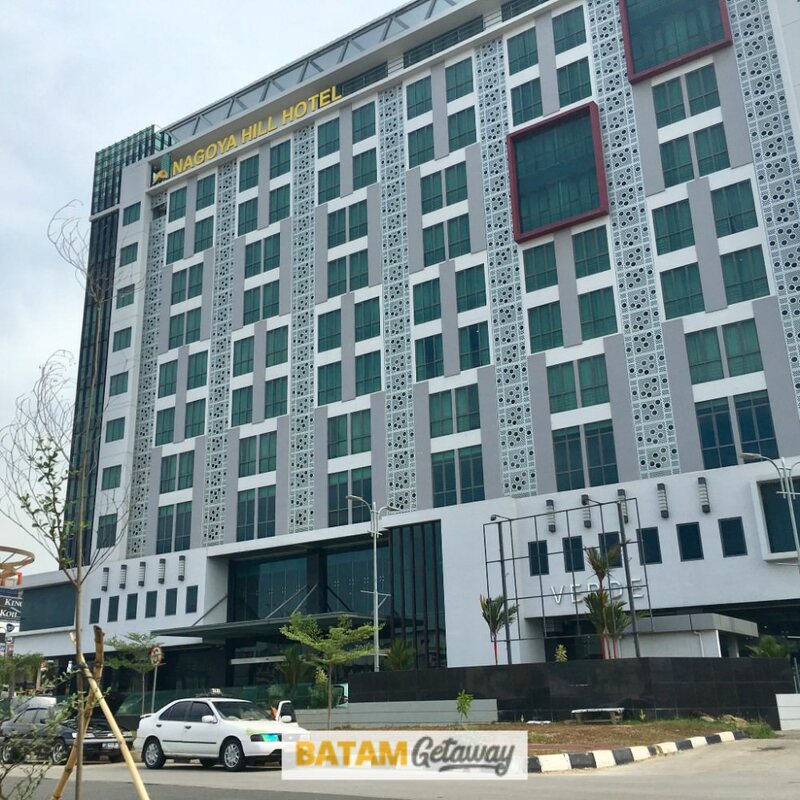 Today, we will be discussing about Batam Nagoya Hill Hotel Review. 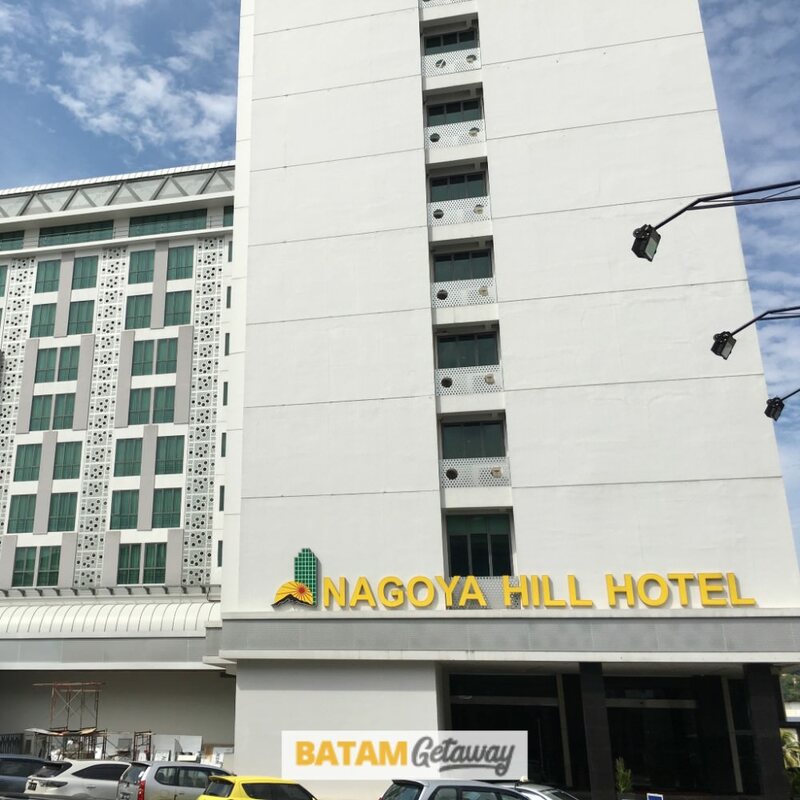 Easily one of the top 3 city hotels on the island, Batam Nagoya Hill Hotel has made a name for its high service standards, modern looking rooms, and also for its location – 1 minute walk to Nagoya Hill Shopping Mall, the mecca of shopping in Batam! 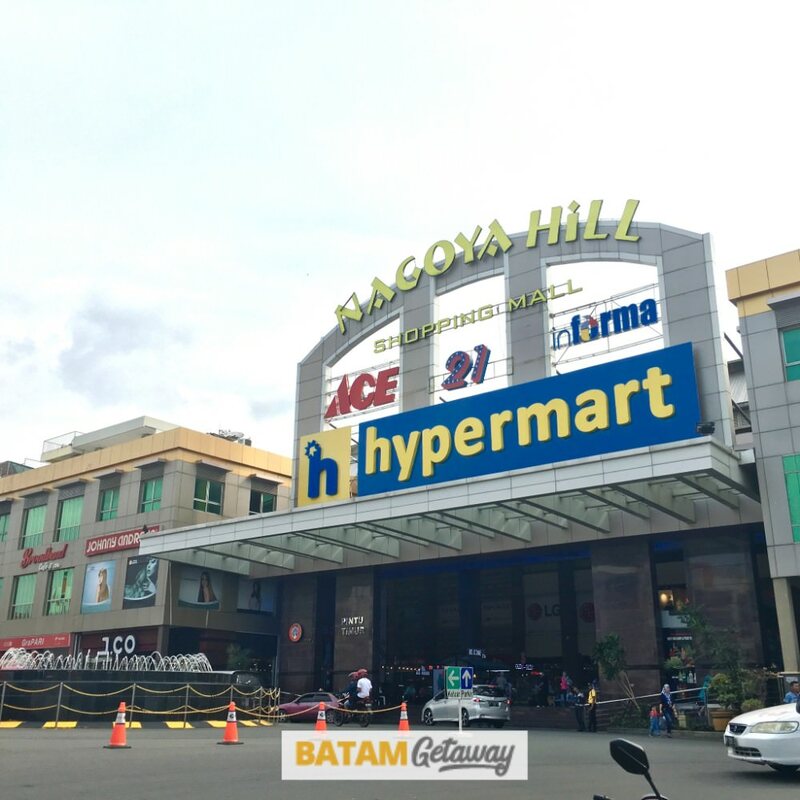 Located just beside the famed Nagoya Hill Shopping Mall, Batam Nagoya Hill Hotel is an ideal selection for those who are into shopping! There is a dedicated link way which connects the hotel to the shopping mall. 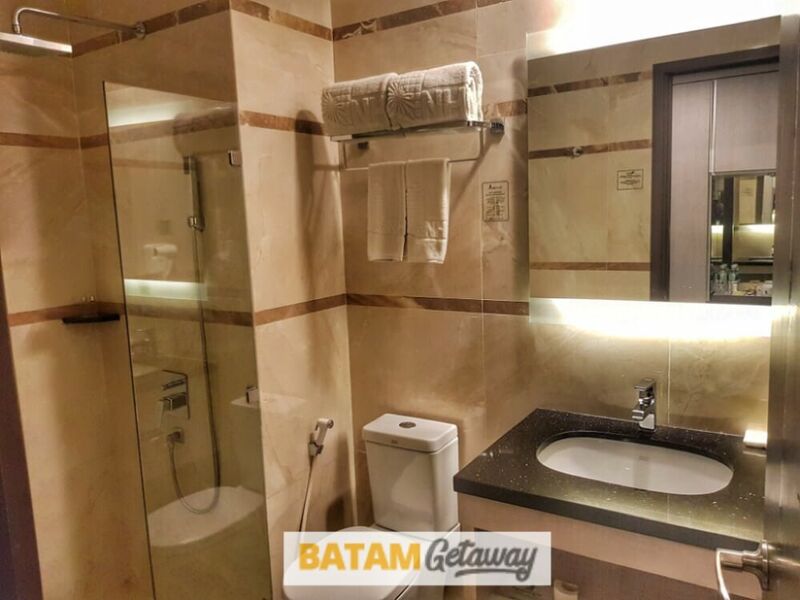 The well-known spa centre The Spa Secret Batam is located right opposite the hotel; 2 minutes’ walk. Nagoya Hill Shopping Mall has plenty of restaurants, shops (where you can bargain) and even a cinema! From a distance, it’s easily one of the tallest and most modern looking buildings in Nagoya Hill area. With their grey outlook and turquoise windows, they definitely stand out from the rest! The hotel’s branding is also clearly highlighted on the top left hand corner of the building. Walking into the hotel, you will be warmly greeted by the doorman and front desk staff. 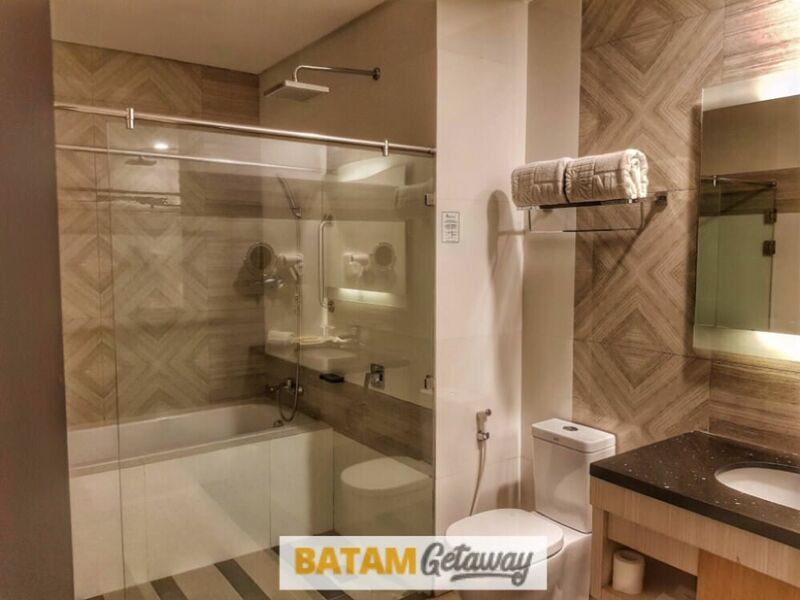 By incorporating wood & marble tiles in their design, it emanates a sense of lavishness that a modern 4 stars hotel will normally give out. 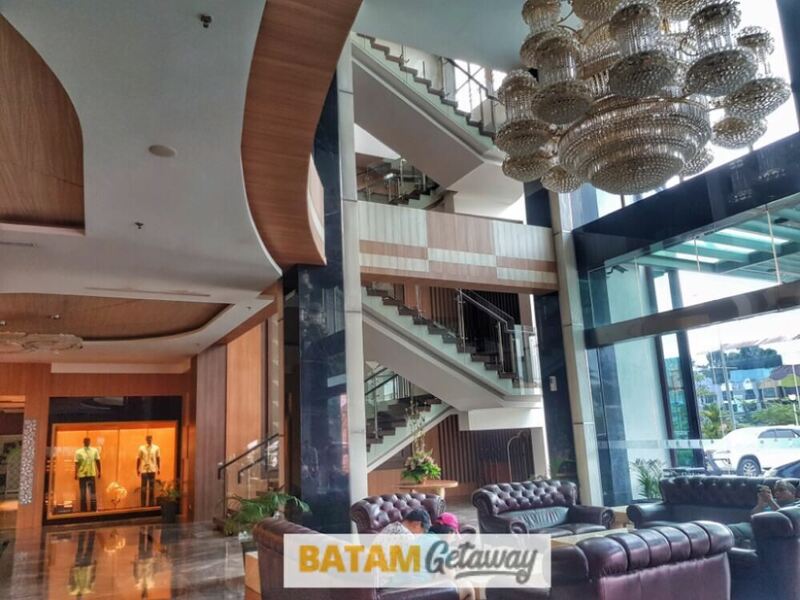 Batam Nagoya Hill Hotel has 233 rooms that are done in sleek and present-day design. All room types, ranging from Superior, Deluxe, Junior, and Executive Suite Rooms, provide comfort with a conservative touch. All rooms are equipped with a cable Smart Television & in-house movie titles & high-speed wireless internet connectivity. The rooms are also equipped with coffee and tea-making & mini-bar! Not forgetting the usual as well; toiletries, slippers, and shaver & hairdryer outlets. 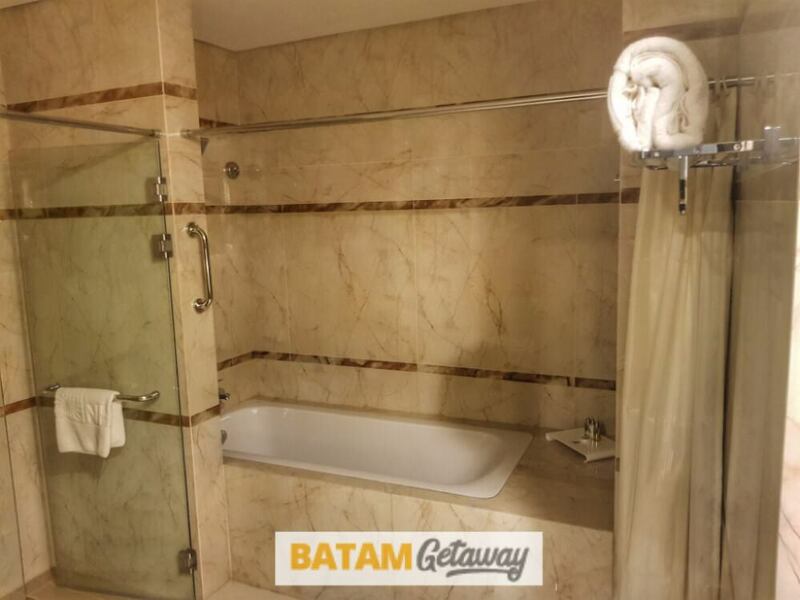 For those who favour having a bath tub, do consider staying in Deluxe Room and above (Junior Suite & Executive Suite Room) as Superior Rooms have standing shower only. Hot & Cold shower options are available for all room types. There is a dedicated massage & spa centre (NHH Spa & Massage) which is located on the 2nd floor of the hotel. 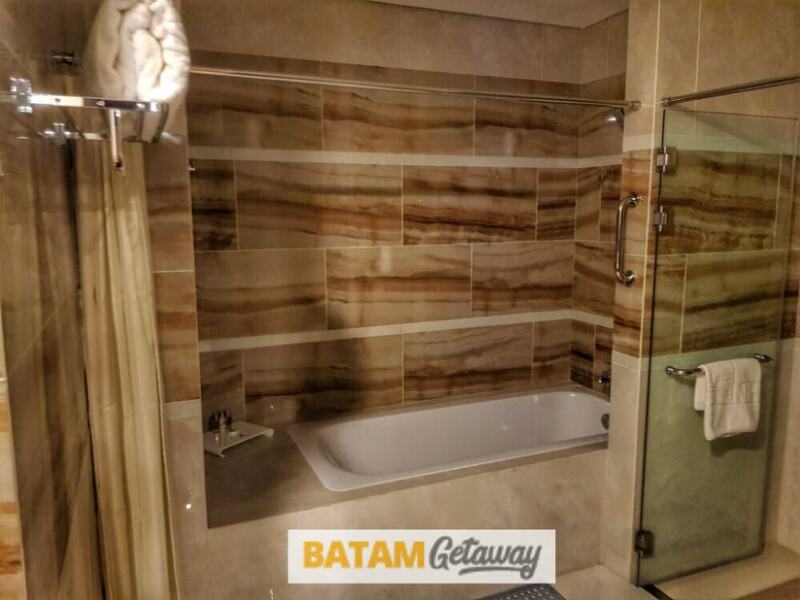 They have 24-hour service; the centre is open till 2300 hours, and from 2330 hours onwards, it will be in-room massage service. 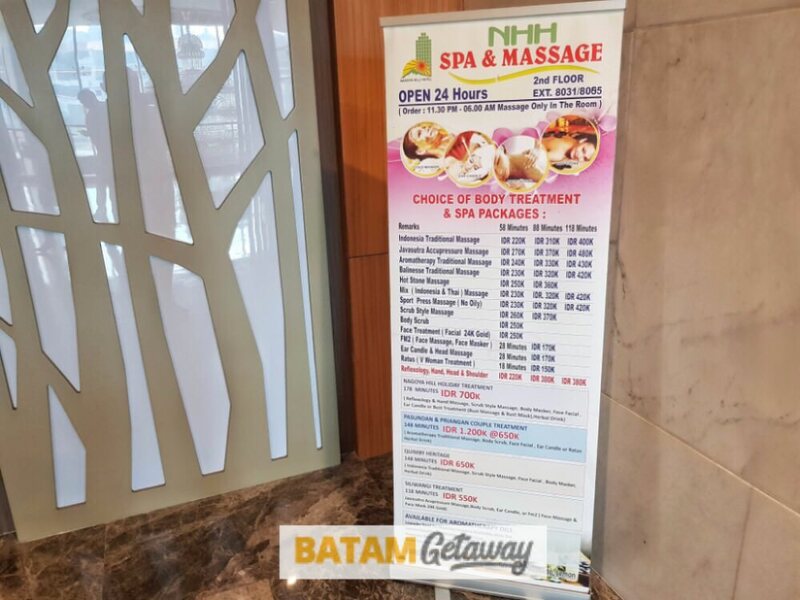 Prices are comparable; if not slightly higher as compared to the external massage centres in Batam (IDR 220K = $23 per person for a 60-mins traditional massage). With regards to the buffet breakfast, Nagoya Hill hotel has a dedicated food corner for our Muslim (halal) friends In addition to that, there were plenty of food choices as well; ranging from a western meal (eggs, bread etc.) to local delights such as Indonesian porridge and fried rice. During weekends/peak season, you need to arrive early for breakfast (recommended to be seated by 0800 hours). Aside from leisure travellers, hotel does provide options for business travellers as well. 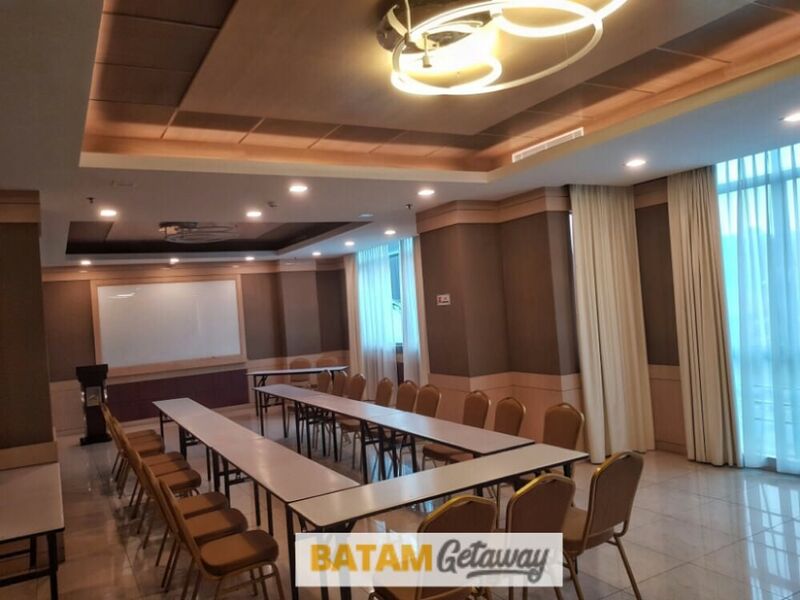 Meeting rooms & ballrooms which is ideal for 10 to 700 people based on theatre-style seminar. Audio visual equipment and a team of well trained staff will ensure the success of any function held at the hotel. For large scale event, you may consider booking their pillar-free Sky Ballroom (located on the last floor of the hotel). 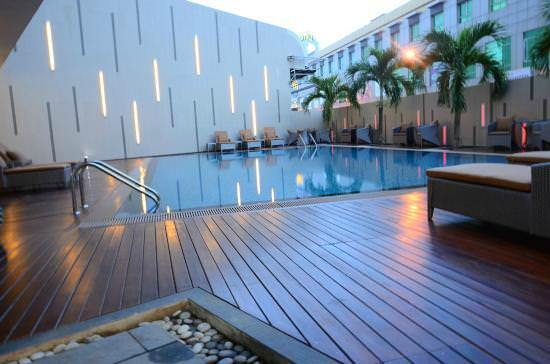 Other amenities such as swimming pool, sauna, and gymnasium can also be found in Batam Nagoya Hill Hotel. 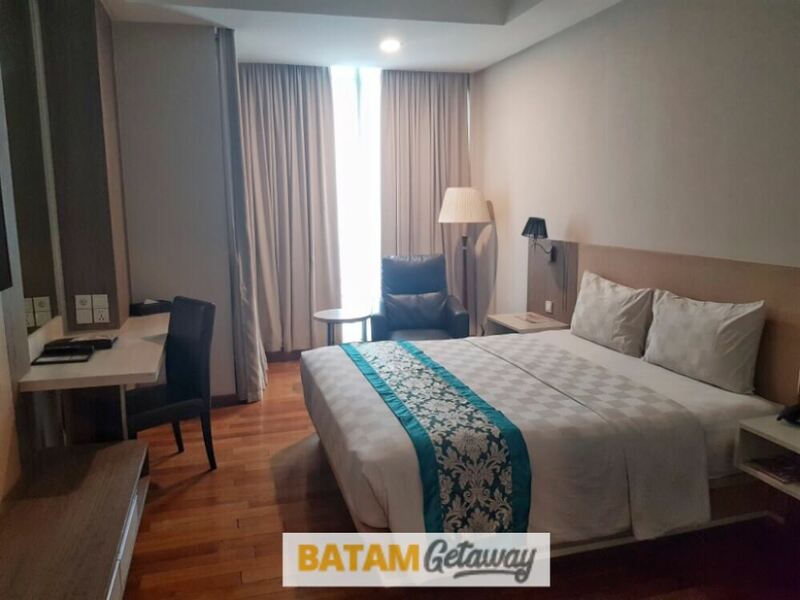 Major selling point for this hotel is that it’s new, within 1-2 minutes’ walk to Nagoya Hill Shopping Mall, wide variety of buffet breakfast served (suitable for our Muslim friends), and the rooms are elegant & modern looking. 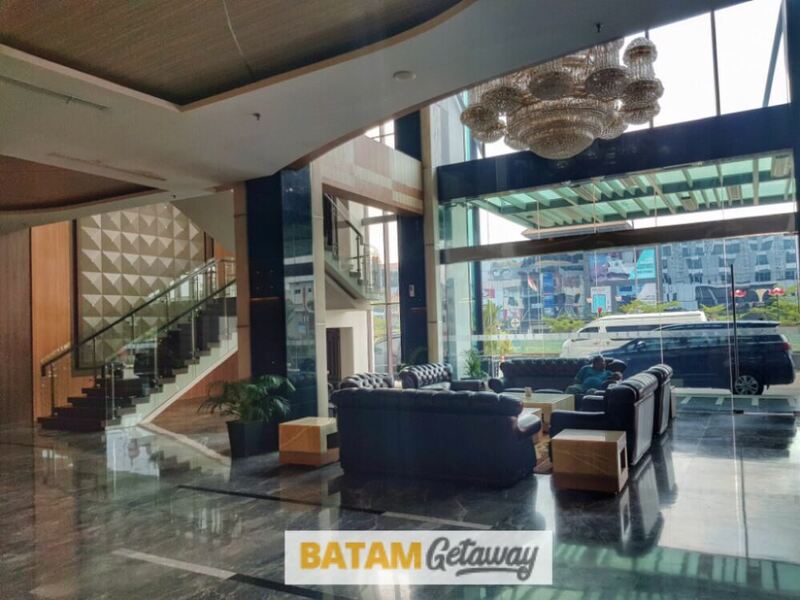 With all that said, we are pretty sure you are getting excited and can’t wait for your next stay in Batam! 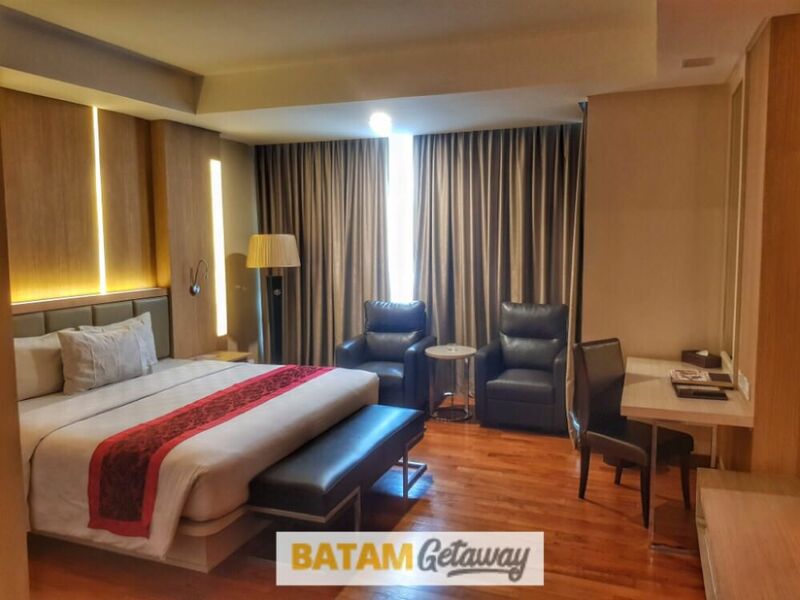 While it’s not one of the cheapest city hotels in Batam, we can safely say that it’s definitely one of best. Verdict: A must-stay if you’re planning to stay in Nagoya Hill! 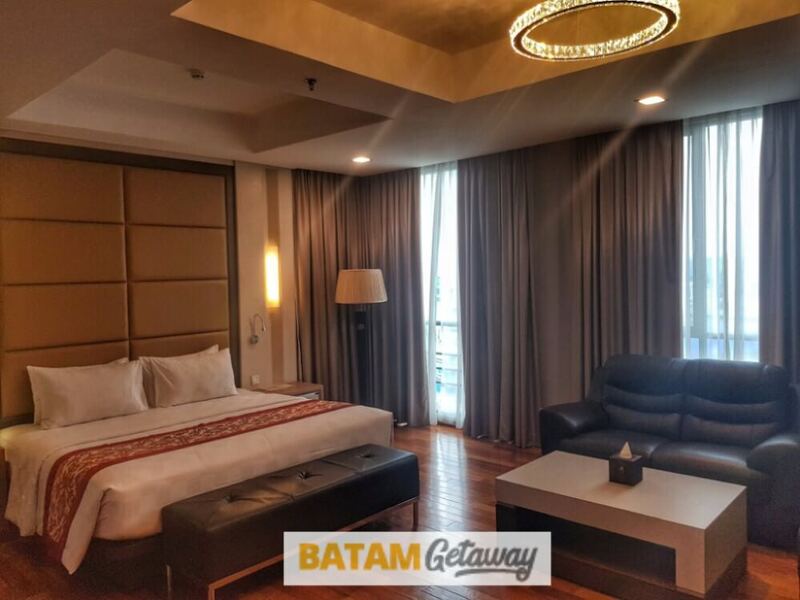 Book our 2D1N (2-days-1-night) Batam Nagoya Hill hotel + ferry package. 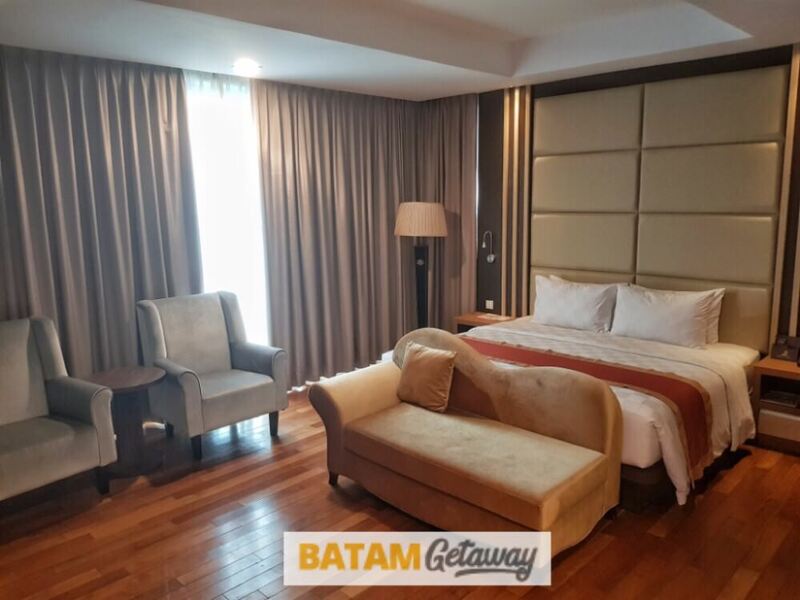 It includes 1-night stay with breakfast, 2-way ferry tickets from Singapore, and 2-way Batam land transfers (to and from Batam ferry terminal). 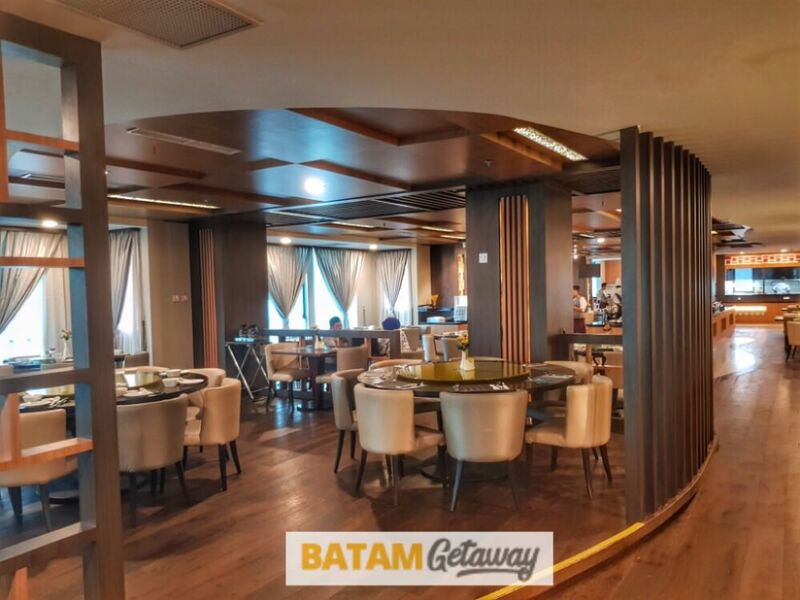 Our package has an option for you to top-up with a Batam city tour + seafood lunch + 60-min body massage.